Adam Michael has this to say “This Citronellol Natural Isolate is obtained by fractionation of eucalyptus citriodora essential oil and is pale water yellow and of a pourable viscosity. The aroma makes me think of watery rose and geranium scented rain drops, very diffusive and within the top it has a very impressive metallic and sprightly rose quality that I only associate with smelling a good bottle of Chinese Geranium. Citronellol is a naturally occurring constituent in many essential oils including rose, geranium, lemongrass and citronella. 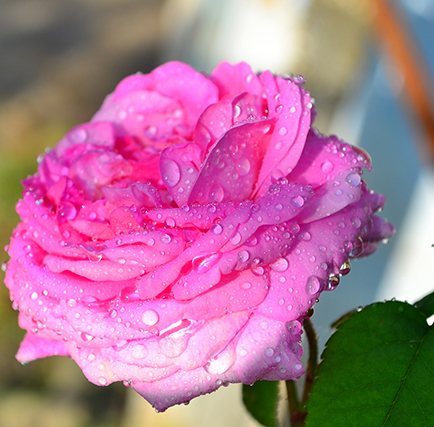 Mark Evans has this to say “Along with geraniol, citronellol is one of the indispensable materials in the creation of rose, muguet, lily and many other floral fragrances. The scent of this purely naturally derived citronellol itself is of fresh roses, petals, geranium leaves and lemongrass with citrus green and waxy aspects. I find that generally the synthetic version of citronellol has to be dosed carefully to avoid a scratchy, sharp, sour note developing and to my nose, this is present in many cheaply made rose perfumes – they just smell harsh. Extracted from eucalyptus citriodora essential oil.